Photo by chewie2008~ from the Torontoist Flickr Pool. 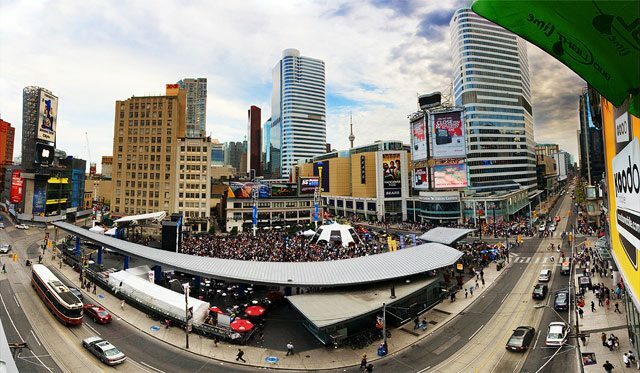 As the square celebrates its tenth birthday today with a free concert, here’s a look back at the century of history leading up to its construction. 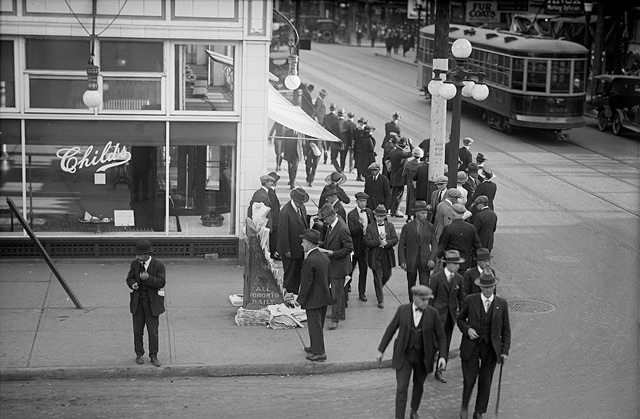 Southeast corner of Yonge and Dundas streets, September 22, 1922. City of Toronto Archives, Fonds 200, Series 372, Subseries 58, Item 1035. 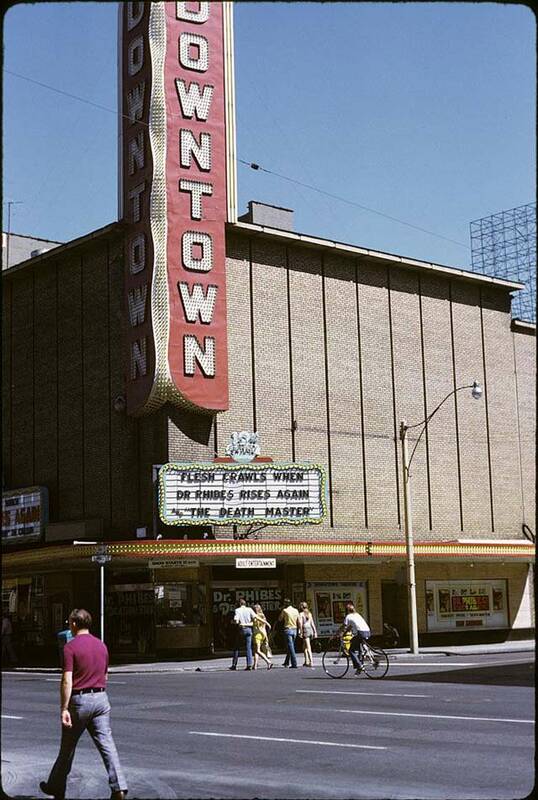 Downtown theatre, 1972. Photo by Ellis Wiley. City of Toronto Archives, Fonds 124, File 3, Item 2. 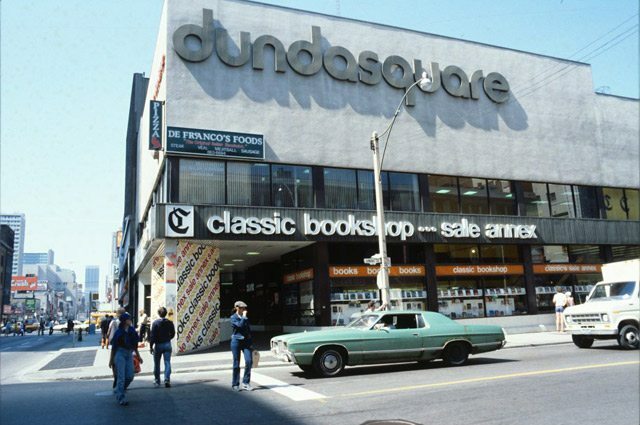 Corner of Yonge Street and Dundas Square (the former Downtown theatre site), between 1978 and 1980. City of Toronto Archives, Fonds 200, Series 1465, File 308, Item 6. 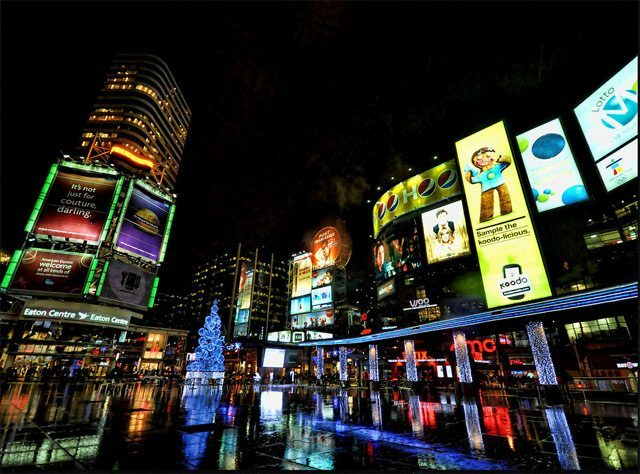 Yonge-Dundas Square, June 2009. Photo by Michael Tan from the Torontoist Flickr Pool.